Really like this RAM. I got two sets for a total of 32GB now and they all work perfectly. I got one set in 2012, and another set in 2015. After 3 years I did notice a slight fading in color, but ram still works perfectly. Ram is ram, it works good and is not too expensive. It is much shinier than is looks in the pictures and a much darker blue, which can be seen in my build but I like it a lot. Looks great and performs well. I've had no problems with it so far. The color matched the build that I wanted to work towards. It does its job and the capacity is more than I need for now but I have room to spare for future upgrades. I saw this on sale on Newegg and bought it without thinking. It's blue, therefore pretty. It works. Plug and play and great design. Random Access Memory: I put 16GB @1600 megahertz, but my RAM its truly at @ 800MHz and it's DDR3 memory but it wasn't showing on PCPP RAM list so i put that in the place. 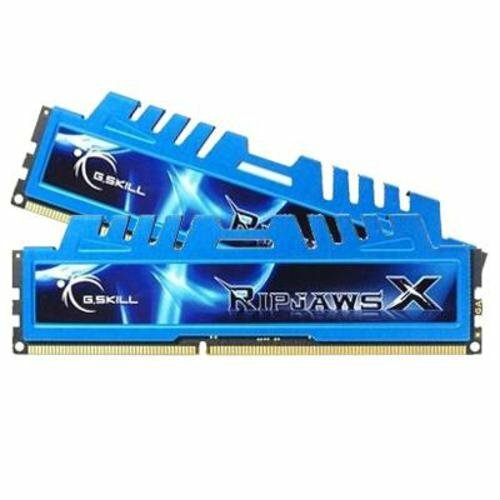 BTW my ram is blue and is G. Skill so, Match! Great memory kit on a budget, solid timings. Its ram. It has some tallish head spreaders, but isn't terrible.